New Delhi, India—(February 15, 2017)—Today, USGBC and GBCI announced a newLEED green building rating system pilot designed to address the unique needs of transit systems around the world. 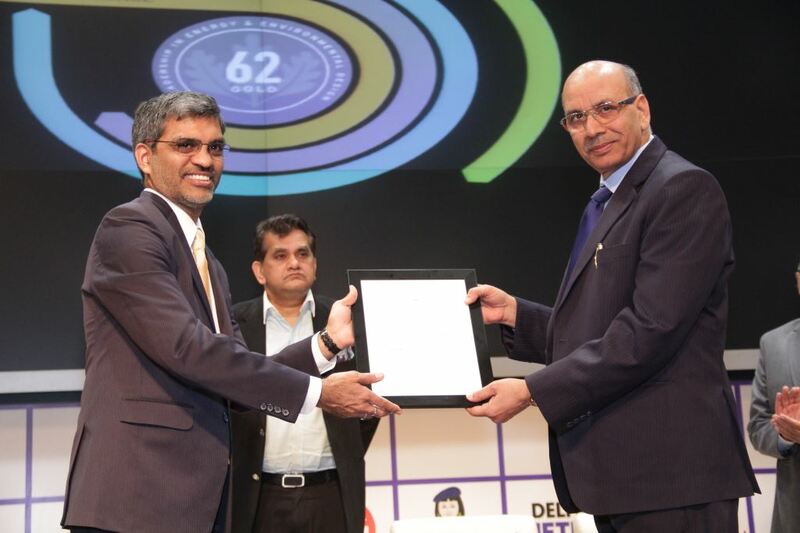 Delhi Metro Rail Corporation (DMRC) will be the first metro in the world to pursue the pilot, LEED v4 O+M: Transit, for their metro stations in Delhi NCR and other states in India. Performance of the metro stations will be monitored via the newly released Arc performance platform, which facilitates streamlined tracking of data across five performance categories; energy, water, waste, transportation and human experience. Developed with invaluable input from DMRC, LEED v4 O+M: Transit will allow operational transit facilities to benchmark efficiencies and demonstrate continual improvement. Transit owners can reduce their environmental footprint, while also engaging riders on the importance of sustainability and the opportunity the public transportation sector has in minimizing greenhouse gas emissions. The announcement was made at DMRC’s new LEED-certified Metro Bhawan headquarters, the first project in the world to pursue and achieve LEED certification by leveraging the new LEED performance pathway through the Arc platform. The launch of LEED v4 O+M: Transit follows a groundbreaking 2015 alliance in which DMRC, USGBC and GBCI—the global third-party organization that certifies all LEED projects—agreed to collaboratively address the unique performance and environmental needs of metro stations and transit systems using LEED. The pilot was earlier approved by the LEED Steering Committee, a governing body with representation from around the world that approves all major changes to the LEED technical requirements. LEED v4 O+M: Transit is targeted for operational transit. LEED certification for the design and construction of transit stations and systems as a whole is also in development. LEED-certified transit demonstrates lower resource use and carbon emissions, better quality of space for riders and saves money by reducing operating costs. As an internationally recognized mark of excellence, LEED provides building owners and operators with a framework for identifying and implementing practical and measurable green building solutions. LEED globally certifies more than 170,000 gross square meters per day and is transforming the way the built environment is designed, constructed and operated. The latest version of LEED, LEED v4, features sector-specific strategies for a variety of building types and spaces including data centers, hospitality venues, existing schools and retail outlets, mid-rise residential projects—and now, mass transit systems. Each is professionally crafted to ensure that LEED maintains its global, regional and local applicability, meeting the unique and varied needs of diverse project types.